Several Sources say UMass has offered to to Tre'Quan Smith , a 6-2 175 pound WR from Delray Beach, FL. BayNews9.com reports that it's down to UMass and FIU for E.J. Burston. My previous blog post about Burston. Philly.com reports that Chris Jones, a 5-11, 165 pound WR from Coatsville HS in PA verbaled to Coastal Carolina. UMass had offered to Jones and he canceled a visit to Amherst. The UMass website has has a story about the UMass Letter-of-Intent signing day event. Coach Molnar will be there to talk about the Minutemen's 2013 commitments. A shuttle bus will be available to Mullins for the Hoops game. James Ihedigobo gets a lot of quotes in this article by the NY Post. Former UMass OC Mike Kruczek has a comment on why he left for Florida. Sports Illustrated says the Big East is still looking for another team. The Orlando Sentinel says decommitments are a fact of life in college recruiting. 247 Sports reports Elijah Wilkinson, a 6-4 330 pound OG has verbaled to UMass. Named to the PA "Big 33" all-star team. The Eagles blog "BC Interruption" looks at the Big 10's move to a 9 or 10 league slate. BC could have troubles signing home and home contracts with Big 10 teams in the future. How about an annual series with UMass? The Eagles were #65 in total attendance last year. A Minutemen-Eagles series would help both athletic departments. Back a couple of years ago, I did a question-and-answer series with one of the BC blogs. One of my questions was that I was surprised how well BC football was doing in the ACC. Given BC's high academic requirements, I had expected the Eagles to be another Duke or Wake Forest. A three or four years later, the Eagles seem to be slipping to the bottom of the ACC. A BC-UMass-UConn series would add some New England excitement. And lets face it, BC could use the wins. ESPN wonders if the Big East should keep its name. The Big East commissioner says UCF and USF are critical to the survival of the league. The new College Football Hall-of-Fame has started construction in Atlanta. Football Scoop has a story on an easy-to-do video promotion that could help with recruiting. The NCAA banned showing a recruit a locker and a game jersey with his name on it. Why? I have no idea how that could be bad. 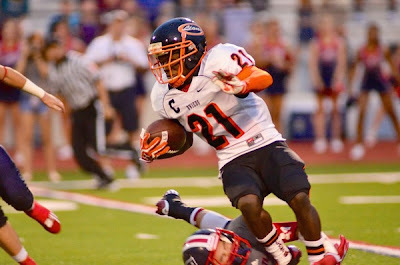 A Syracuse Blog reports that Chanucey Scissum, a DB from Henrietta High in NY has verbaled to the Orange. I've blogged about Scissum before. Had offers from UMass and Buffalo. Matty V. has a story about UMass and Tulsa being linked to the new Big East (pay wall). "It’s likely that UMass, if given that opportunity, would make the jump. The prospect of being conference rivals with Connecticut and Temple, as well as having a likely more lucrative television deal, would be too good not to chase, despite knowing that the Huskies would jump ship at the first opportunity. With the Atlantic 10 expected to lose at least Xavier and Butler, and perhaps Dayton, Saint Louis and maybe even Virginia Commonwealth to the new league featuring the Big East’s seven Catholic schools, the A-10 won’t be nearly as strong, making staying put a not especially enticing possibility for UMass. The next wave of decisions could come some time in February." The potential downgrade of the A10 would severely impact UMass hoops. Basketball is the only other revenue sport UMass has. The MAC is an excellent fit for UMass, but the bigger cash flow from the Big East and the return of rivalries with UConn and Temple would be too good to turn down. The Hartford Courant says UConn should sit tight in the Big East. 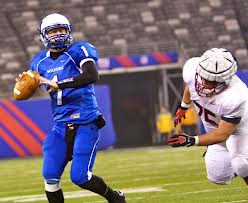 UPDATE: MassLive.com has a story that the Big East and the Catholic Seven may break up as early as 2014. The Tampa Bay Times has a story about innovative recruiting measures and mentions UMass. CBS Sports says it was a banner year for MACtion, but UMass and Akron need to improve. Manning to Victor Cruz highlights the NFC Pro Bowl rout. All the sports pundits were complaining about NIU being in the Orange Bowl. The TV ratings were up 44% over the previous Orange Bowl featuring Clemson and West Virginia. Rival.com reports that Antonio Harris, a 6-3 311 pound OL/DL from Upper Marlboro, MD has verbaled to UMass. UPDATE: ESPN has a 9:46 AM post on Harris' verbal to the Minutemen. He's a Rivals three-star player. Harris had offers from Buffalo and Ohio from the MAC. Numerous FCS offers. MassLive has a story about James Ihedigbo being back in Super Bowl with the Ravens. 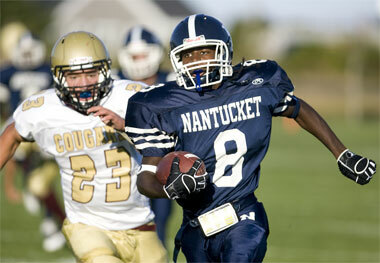 The Boston Herald has a story about the local connections with the Super Bowl including Ihedigbo. The Baltimore Sun says the Ravens four Super Bowl veterans are sharing experiences with teammates. 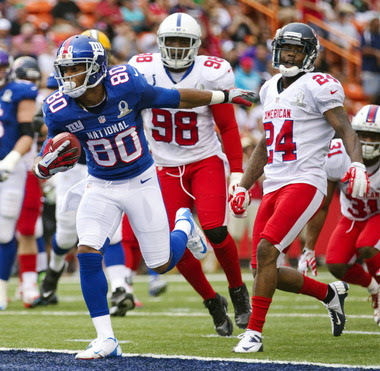 Victor Cruz set a Pro-Bowl record with ten catches as the NFL beat the AFL 62-35. MassLive has a game summary. 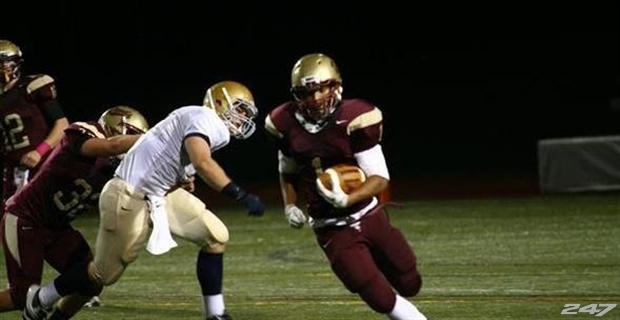 Boston College grabs a QB who had previously verbaled to Ohio. NJ.com reports UMass is interested in Almamy Conde, a 6-0 225 pound OLB from St. Peters Prep in NJ. Receiving interest from Rutgers, Central Florida, Temple, N.C. State, Purdue, UMass and UCLA. 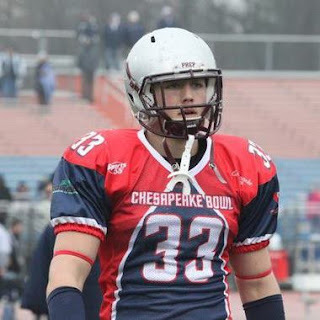 ESPN reports UMass has offered to Spencer Kleinrichert, a 6-3 220 pound ILB from DeMantha HS in Maryland. This article from August features Kleinrichert. Also has an offer from Maryland. You remember there was talk of Boston College adding UMass to next year's schedule. The Eagles would have played at Gillette. Instead, BC picked up New Mexico State-----as an away game. BC interruption has comment. WEEI.com says the Patriots are checking out talent in the CFL and mentions UMass grad Keron Williams of BC Lions. UMass assistant coach Alan Suber has a quote in a Palm Beach News article about NCAA changes in recruiting rules. James Ihedigbo is listed as questionable for the Super Bowl. Harry Plumer reports that the 2014 game between UMass and Penn State may be canceled. If we have a contract with the Nittany Lions, not just a handshake agreement, UMass should get a fairly large buyout payment. Brian Polian comments on his staff at Nevada, including former UMass coaches Nick Rolovich and Ron Hudson. Central Michigan extended the contract of HC Dan Enos recently. BTW, remember when UMass played Central Michigan and I said I was impressed with the size and strength of their OL? Multiple sources say CMU's Eric Fisher 6-7 305 is a first-round NFL draft pick. Another story about Fisher here. Purdue picks up a Boston College decommit. Dan Peeves turned the Raven's defense around (quotes by James Ihedigbo). 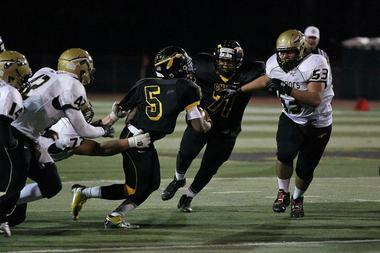 ESPN reports UMass has offered to Jamauri Bogan, a 5-6 164 pound RB from Union, NJ. Has offers from UMass, Georgia Tech and Toledo. Yesterday, I blogged about 2013 walk-on Nick Valles. The Salem News has a report on Valles' move to UMass. Harry Plumer reports that UMass verbal Cole Ormsby has switched to UConn. Hartford Courant article on the switch here. NJ.com has a story on Chip Kelly's staff at Philadelphia. Includes bios of former UMass coaches Jerry Azzinarno and Bill McGovern. Football Scoop has a story on John Calipari and Nick Sabin swapping recruiting advice. CBS Sports says the Big East is near a TV deal with CBS and ESPN. Marks is a Rivals two-star player. 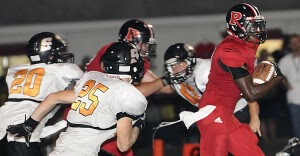 Marks holds offers from UMass and Florida Atlantic in FBS and several FCS schools. He has also taken a recruiting visit to Arkansas. UMass announcer George Miller will audition for the job of announcer at Fenway Stadium. The Boston Globe reports (at the end of the article) the Cleveland Browns have hired Joe Cullen as defensive line coach. Cullen joins Mark Whipple with Cleveland. I've blogged about Cullen a number of times before. In December it was reported that Cullen declined an offer to be DC at Boston College. CBS News has an article on the non-BCS conferences plan to share the playoff revenue. Football Scoop has a video tour of Temple's football facilities. Interesting stuff. It shows how much the new UMass field house is needed. UMass adds seven recruits for the Spring Roster. UMass website article here. The UMass website has complete bios for the players. Matty V. also has a story about changes in the UMass roster here. (behind pay wall). Joining UMass will be three scholarship OL and four walk-ons. I've blogged about some of them before. Josh Bruns 6-7 285 OL JUCO. Cameron Mock 6-7 305 OL. Signed with the 2012 recruiting class, deferred joining the Minutemen due to an injury. Sam Zeff 6-5 277 OL. Rivals two-star player. Klysmann Alfonso 5-9 175 WR. Medford MA. Jireh Prep (NC). Nate Crutchfield 6-2 200 QB Teammate of Sam Zeff. DuVaughn Beckford 6-0 180. Transfer from Assumption. In other news, Matty V reports (see link above) that Kellen Pagel will probably not return to football because of his concussion syndrome. He may play baseball for the Minutemen. Coach Molnar also has offered to have him join the UMass football staff as a student assistant. Ryan Carter will graduate and forego his senior season with UMass. In addition, as already been reported, several UMass players will seek to transfer: Ryan Delaire, John Wallace, Greg Hilliard, Brian Dowling and Jamar Smith. Philly.com has a story by Mike Jensen about the A10 in transition. "History shows the A-10 will be prepared to make moves. It hit for a better average than the Big East when it came to adding schools. A-10 losses, however, eventually might include Massachusetts, since the Big East group that includes Temple is a natural fit for the Minutemen now that they have upgraded to FBS and are doing what Temple used to do, play A-10 hoops and Mid-American football. The Owls have to hope UMass joins them." Matt Sussman of the MAC Blog "Hustle Belt" has the best performances by league players in the various bowls. Football Scoop has an article quoting new Nevada coach Brian Poulian that in recruiting, you can outwork other people. Yesterday I blogged on UMass' OOC opponents who had a combined 33-18 records in 2012. The Philadelphia Eagles are acquiring quite a UMass presence. Chip Kelly has hired Mike Dawson last Friday night. The Worcester Telegram has the story. Dawson won four letters UMass (1994-97) and was Captain as a Senior. Bill McGovern was assistant coach at UMass 1987-90 and 1992-93. Jerry Azzarno was an assistant coach with the Minutemen 1992-94 and 1997. Kent State's trip to the GoDaddy.com bowl is helping with the Flashes' athletic donations. I've blogged about Cameron Nash before. Nash is a 5-7 175 pound RB/athlete from Piscataway, NJ. A commenter sent me a link for his senior highlights. 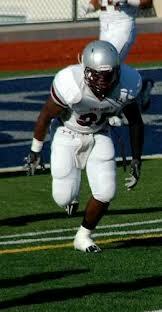 Several sources say UMass has offered to Juwann Bushell-Beatty, a 6-6 320 pound OT from Paramus, NJ. 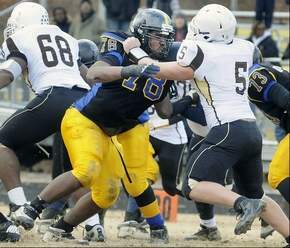 This article from NJ.com says he might be the best linemen in New Jersey's 2014 class. This ESPN recruiting post from October says Juwann Bushell-Beatty "could be special". Also drawing interest from Rutgers and Penn State. A Philly.com writer talks about the future of the A10 and thinks the conference will be without UMass as the Minutemen "are a natural fit for the Big East". MassLive has a story about James Ihedigbo and the Ravens returning to the Bay State. Brandon London says new Bears coach Marc Trestman and Tom Coughlin are "pretty much the same guy"
Football Scoop has an article on recent changes to NCAA recruiting rules. Tampa Bay Times says recruits should choose a school because they like the program and their fit to the school, because of the rapid turnover in coaches. From 2008 to 2012 75% of FBS schools changed their head coach. 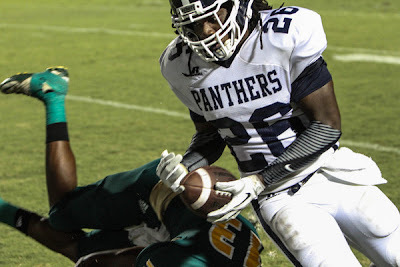 The Palm Beach Post says UMass has offered to Tevin Spells, a 5-9 190 pound all-purpose RB from DeRay Beach, FL. Palm Beach Post article here. Besides UMass, Spells has offers from Purdue, Bethune-Cookman, Georgia State and Tennessee State. The East West Shrine game is today at 1:00 EST. Nick Speller will be representing UMass. He'll be wearing his UMass #72. The game will be on the NFL Network, which is Channel 154 on Dish Network. The Baltimore sun has three questions for James Ihedigbo. ABC News2 says Ravens vs Pats is a family affair. Newsday says winning teams keep finding James Ihedigbo. The Big East released a revised football schedule. 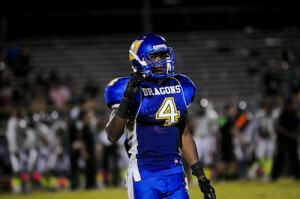 This article says UMass is interested in Brisly Estime, a 5-9 DB from Atlantic, FL. Estime is a Rivals three-star recruit. He recently decommited from Iowa State. 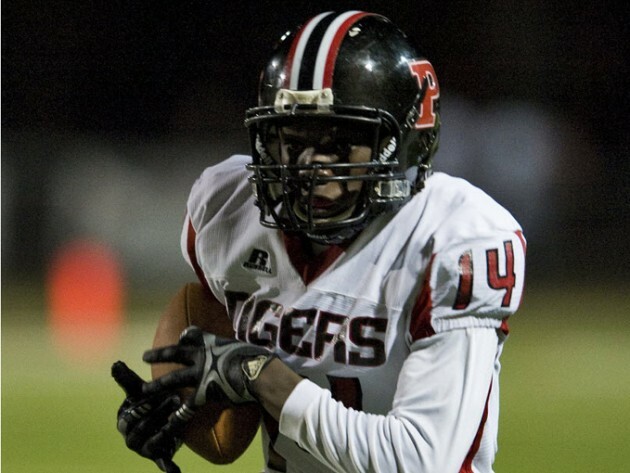 Estime has double-digit offers including Bowling Green and Western Michigan from the MAC. 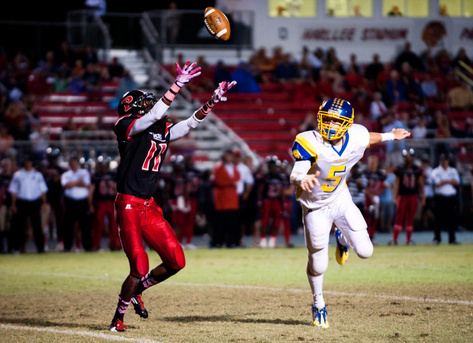 I've blogged about Justin Williams, a 6-0 180 safety from Treasure Coast twice before. He's a Rivals three-star recruit. This article says he will take a recruiting visit to UMass on January 25th. Williams has offers from Cincinnati, Florida International, Marshall, Michigan State, South Carolina and West Virginia. 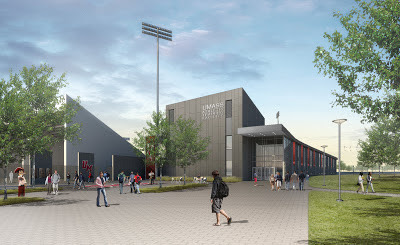 UMass has released the latest artist rendering of the new field house/practice facility for Football. Construction will start in February. Not shown, but also included will be an upgrade to the press box at McGuirk that will allow UMass football to play some games in Amherst. This is great news. Coach Molnar will have more than just a poster to show recruits. The facility will replace the current 50 year old field house that is not much even by 1-AA standards. We'll get to see if the people who have been gripping about Gillette will sell out the 2014 game in McGuirk. Harry Plumer has a story here about the release. UMass OL Nick Speller gets a positive review during Shrine Game practices. An Ohio State writer says the Big Ten is down because of the rise of the MAC who is siphoning off recruits who would have played in the Big Ten. His solution, a preemptive strike on the MAC by annexing UMass. An ESPN writer says Western Big East football was a bad idea. The Big East Blog says the Big East needs to refocus its priorities. 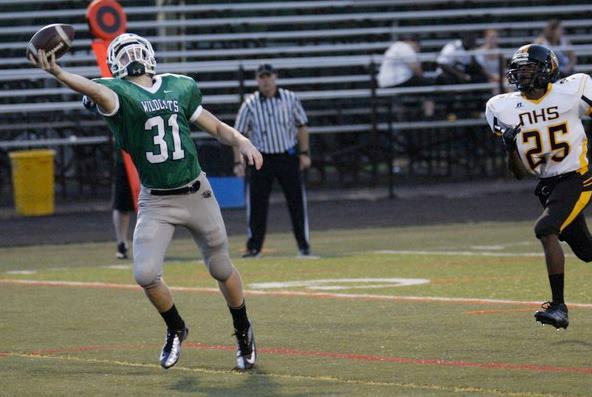 Matt Alkire reports UMass is interested in Dillon Tighe, a 6-0 180 pound WR from Gambrills, MD as a recruited walk-on. NCSA Sports has a profile on Tighe here. This December article features Tighe. Also drawing interest from Wake Forest and Maryland. UMass alum James Ihedigbo has an extended quote in Boston.com about the upcoming Ravens-Pats AFL Championship game. The Hartford Courant reports that San Diego State offically stated they will remain with MWC, ending the Big East's coast to coast venture. Victor Cruz prepares for restricted free agency. NFL Draft guru Mel Kiper likes several players from the MAC's Ohio teams. Best quote by a NFL assistant coach: "Does a fat baby fart?" The Notre Dame blog "One foot down" covers the bizarre Manti Te`O hoax. There are a bunch of former Cincinnati recruits available as new Bearcats coach Tommy Tuberville has rescinded scholarship offers to a number of recruits. Cincinnati's ESPN recruiting list here. I've blogged about Darren Hambrick before. He pleaded innocent to domestic battery in a local court yesterday. Palm Beach RB Diocemy Saint Juste verbaled to Hawaii. Saint Juste had offers from Rutgers, Memphis, Bowling Green, Illinois, Nevada, Colorado State, TCU, FAU, FIU, Marshall and UMass. UMass OL coach Ron Hudson has taken a job with former UMass coach Nick Rolovich in Nevada. Matty V. also has a blog post about Hudson leaving. Since both Hudson and Kruczek were sharing an apartment in Sunderland during this past year and did not bring their families to Amherst, it would seem that neither were planing a long term coaching career with the Minutemen. Talking about recruiting, Scout,com currently ranks UMass' 2013 recruiting class as 7th in MAC, ahead of Western Michigan, Ohio, Northern Illinois, Buffalo, Akron and Kent State. A Bleacher Report writer ranks Kansas State's OOC schedule (which includes UMass) as the easiest in the Big 12. Patriots.com has a post on the local connections of various Ravens coaches and players. Mentions Clarence Brooks and James Ihedigbo. The Boston Globe rarely misses a chance to be negative about UMass sports. Dan Shaughessy has a sour comment about UMass retiring Marcus Canby's jersey. 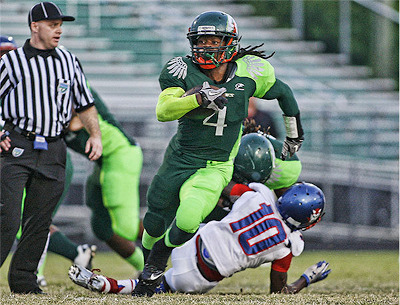 The Orlando Sentinel has a story about local recruiting. No. 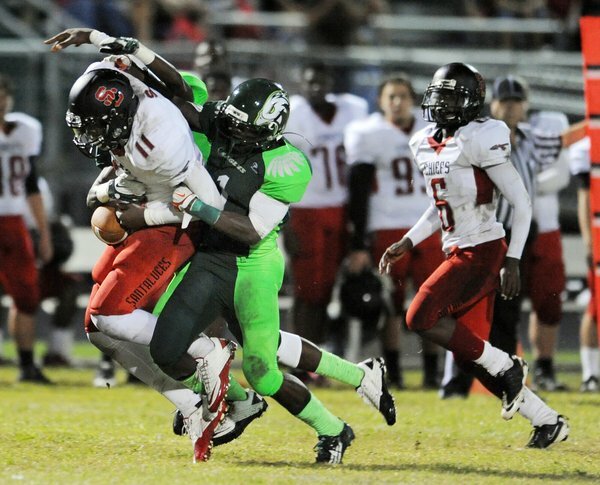 22 Dantwaun O'Neal, WR, DeLand. O'Neal just returned from his second official visit, a trip to Toledo and said he could be right back to Ohio this coming weekend to see Bowling Green, from which he received a call recently. He also received a call from USF on Sunday and he said that could be his final official visit on Jan. 25, but his situation seems quite fluid right now. O'Neal has also visited UMass. No. 24 A.J. Coney, CB, Oviedo. The talented corner has had issues with scholarship offers because of his size, which is listed at 5-foot-9, but likely shorter than that. He'll be traveling to FCS school Weber State in Utah this weekend and then will be at Georgia Southern the following weekend. He is still trying to schedule a visit to UMass and possibly Gardner-Webb in North Carolina. I've blogged about O'Neal before. O'Neal #26/ Joshua Cruey image. O'neal caught 9 passes for 216 yards in this story from October. I've blogged about A.J. Coney before. Coney's #24 in the Orlando Sentinel's Super 60. Coney also has an offer from Memphis. Bay News reports that Trinity Prep has hired former UMass OC Mike Kruczek as HC. A Bonesville.net sports writer talks about the last stand of the Big East. "The relative newbie status in terms of gridiron culture of UMass, ODU and Charlotte should not be a factor in evaluating their potential worth to the league. After all, Boise State, Connecticut, Central Florida and South Florida emerged from the Division I-AA ranks in the fairly recent past." The Mountain West Blog says the Big East is moving on with or without San Deigo State. Mentions UMass again. A Bleacher Report writer has a long screed on the Aztecs and the Big East. Victor Cruz's 77-yard TD in week #7 has been nominated for the NFL's "Play-of-the-Year". James Ihediogbo and the Ravens special teams had a tough day against the Broncos. Well, it's about 4:45 AM when I'm writing this and I'm up before most of the news outlets have posted any material. I have an early appointment, so I'll check intertubes later today for more material and update the blog if needed. The Miami Herald has a feature on the talent-rich local football programs. UMass has mined Broward County for recruits in the past. The ESPN UMass recruiting list has several players from the Miami area. Lately we've added the west coast Tampa Bay area to our recruiting efforts. The Star-Telegram says college football recruiting has created a business of its own. 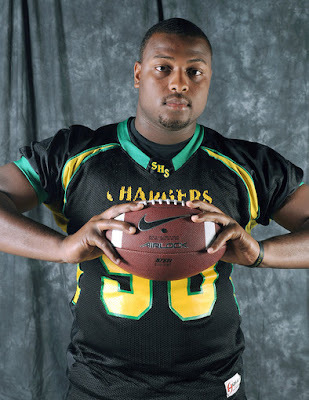 Tampa Bay Times reports that Darren Hambrick, a 6-2 215 pound LB from Hernando HS has decommitted from Missouri. I've blogged about Hambrick before. Tampa Bay Times story about his decommit here. 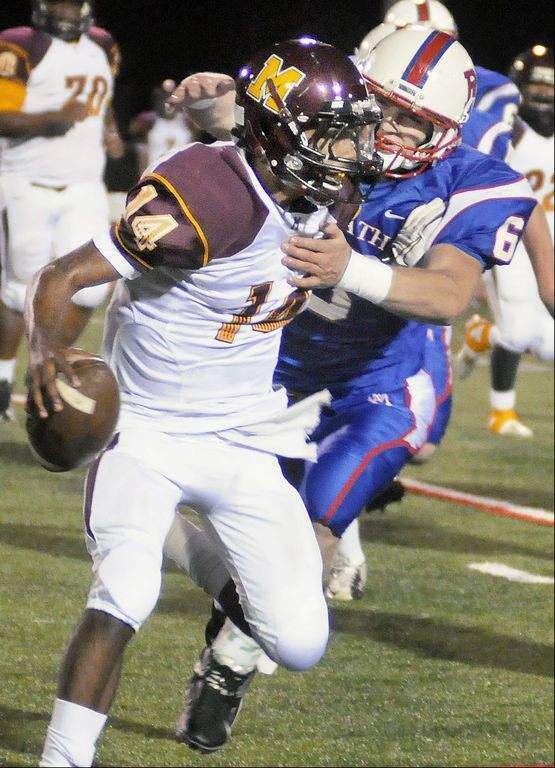 Hambrick holds offers from Kent State and UMass from the MAC. Western Kentucky, Alabama State, Tennessee State and Bethune Cookman have also offered. Harry Plumer has more on the Shane Huber recommit. UMass AD John McCutcheon got involved as well as the UMass administration. Special thanks to Chancellor Subbaswamy for being willing to make a clarification of his earlier statements. I've known (and worked for) a number of higher-ups who wouldn't have done that. This year's MAC standard bearer NIU plays Iowa and Purdue on the road ----- and UMass on the road in 2013. AwfulAnnouncing.com says the Big East initially wanted $300 million for their TV deal. The Big East did pretty good during bowl season. UConn and Temple finished #6 and #7 in the Big East's final power rankings. It will be interesting to see if the loss of Don Brown hurts the Huskies in 2013. Shane Huber has recommitted to UMass. Harry Plumer of MassLive has the story. Matty V. also has the story, but it's behind the paywall. Huber is a good get for the program. He's listed as a three-star recruit by ESPN. You made the correct decision Shane. One thing UMass has to offer is playing time. You'll play early and often with the Minutemen. Rant Sports says Northern Illinois will breeze through its 2013 schedule (including UMass). The MAC was ranked #2 for revenue distribution among the non-BCS leagues. A Bleacher Report writer thinks Vanderbilt's Austyn Carta-Samuels (who will be playing at Gillette in 2013) could be the next Johnny Manziel. How's this for a rumor--- Cincinnati and UConn to the Mountain West? Because both schools are leaning towards the Catholic Seven in hoops? The Harold Tribune reports that two Florida WR's will take visits to UMass. "Palmetto senior wide receivers Shaq Harris and E.J. Burston will visit the University of Massachusetts later this month. Harris also has a trip planned for Toledo of the Mid-American Conference. Burston’s offers also include Middle Tennessee State and FIU, while Harris weighs his options from Miami University (Ohio) and Western Michigan, in addition to UMass and Toledo." Harris, as we know verbaled to UMass. E.J. Burston is a 6-2 170 pound WR. North Jersey.com has an article on UMass recruits Sam Zeff and Nate Crutchfield graduating early and joining UMass this spring. I've blogged about Sam Zeff a number of times before. I don't think I've blogged about Crutchfield. His 247Sports page. 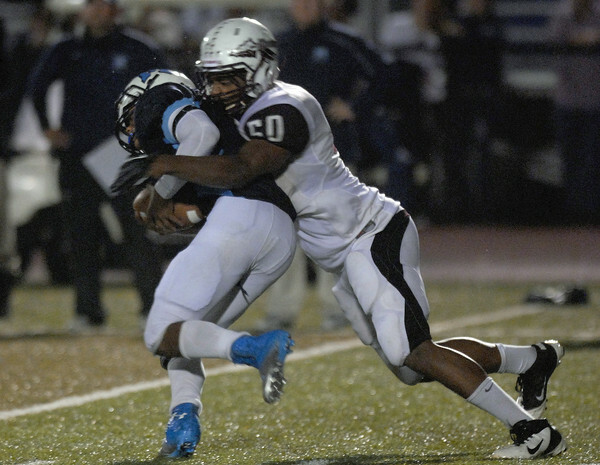 The Hartford Courant has a story about UMass recruit Cole Ormsby, the sack master of Windsor. I've blogged about Ormsby before. This October 2012 article features Cole and his brother. The UMass website has chimed in with another article on the Chancellor's statement on UMass' commitment to FBS football. Another article that mentions Jason Thomas (UMass grad and former letter winner) being the coach of the Vermont Shrine Maple Sugar Bowl. The Hartford Courant reports the Big East will meet today to plot its future. UMass and Tulsa are mentioned again. The Dallas Morning News wonders if SMU is still committed to the Big East or would consider the Mountain West. USA Today picks NIU, visitor to Gillette next year, as a early 2013 Top-25 team. A South Florida Bulls blog says Villanova FBS football is extinct forever. Rant Sports says show Victor Cruz the money. 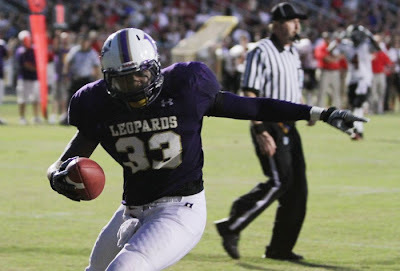 Matt Alkire reports that Shaquille Harris, a 6-2 185 pound WR from Plametto, FL has verbaled to UMass. Harris' 247 profile page here. Chose UMass over offers from Jacksonville, Marshall, Temple and Toledo. 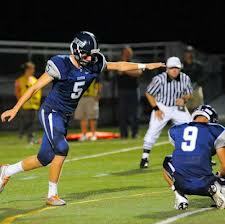 Logan Laurent, a 6-3 210 pound punter from Exeter HS has verbaled to UMass. ESPN story featuring Laurent here. Also had an offer from UNH. UMass OL Nick Speller is on the roster of the East-West Shrine game. The UMass website has an article about Speller's playing in the East-West Shrine game. UMass Chancellor Kumble Subbaswamy reaffirms his commitment to FBS football. The statement is probably a clarification to his comments in a NY Times article. MassLive also covers the Chancellor's statement. UMass fans will get to see Orange Bowl participant Northern Illinois at Gillette in 2013. The MAC announced their complete conference home-and-away schedule yesterday. NJ.com has a feature on the "Catholic Seven's" bid for a TV contract. The article again mentions UMass and Tulsa to the Big East and the breakup of A10 basketball. If you missed it, Tulsa had a pretty good football team in 2012. They went 11-3 and beat Iowa State in the Liberty Bowl. 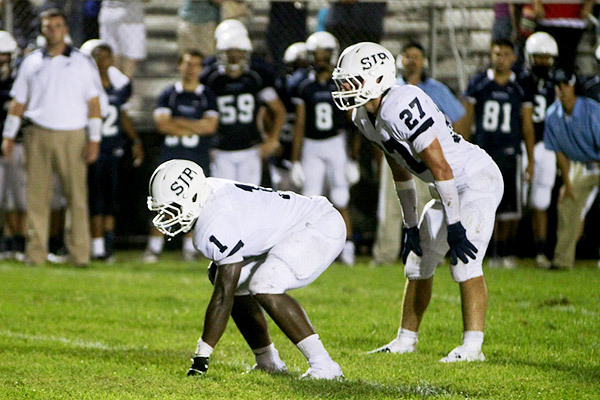 Various press reports state Justin Moody, a 6-3 270 pound DL from Philadelphia, PA has verbaled to Pitt. Moody was a ESPN three-star recruit. Moody had offers from Rutgers, Temple, Syracuse, Central Florida, Buffalo, Old Dominion, UMass and Purdue. Jeff Moeller of MassLIve.com has a story about Victor Cruz coping with a post season without the playoffs. If you missed it, Delaware fired K.C. Keeler day before yesterday. The Hens closed the 2012 season with four straight losses. CBS Sports has a story about San Diego State possibly staying with the Mountain West Conference. That could mean the Big East would possibly drop its coast-to-coast plan. That, in turn, could make an offer to UMass more likely, IMHO. If the Big East were to offer to pay UMass' exit fees to the MAC, I would think the Minutemen brain trust would think very hard about joining. Reuniting UMass, UConn and Temple would be an attractive option. It would also help UMass hoops if the Catholic Seven end up poaching most of the power teams in the Atlantic 10. A mostly eastern schedule would be doable for travel costs. Related item: the St. Louis Dispatch says Xavier and Butler are considered locks for the Catholic Seven and SLU, VCU and Dayton are possibilities. NIU ended up finishing in the final Top-25 of both the AP and USA Today polls. The Citizen.com says a bunch of MAC coaches might be suitable for OC at Syracuse. The story mentions Kenny Edenfield the OC of Troy and infers UMass and Toledo might be interested. The various recruiting services have UMass offering to J.T. Blyden a 5-11 195 pound RB from West Grove, PA.
A Bleacher Report writer thinks Penn State will offer. This article from August features Blyden. This article from July features Blyden. Besides UMass, Blyden holds an offer from Rutgers. The Big East Blog has another post about UMass and Tulsa being invited to that league, but they're mostly recycling the link I posted yesterday. The UMass website has a status report of the eight former Minutemen football players in the NFL. Newsday has a post (at the end) touching on the Jets signing Travis Tripucka to a reserve/future contract. Yahoo Sports says everybody cheats on the NCAA-mandated inflation pressure for footballs. Victor Cruz nominated for the GMC "Never say die" moment of 2012. Pro Football Weekly says Cruz is looking for $8 to $10 million per year in his new contract. I've blogged about Jonathan Thomas a couple of times before. The ESPN recruiting Blog says Thomas ran a blistering 4.47 in a recent combine. Thomas' ESPN recruiting bio here. 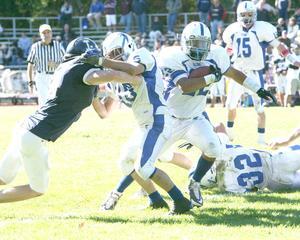 Thomas had 92 yards on seven carries and two INT's against Dracut in December. If you missed it, Doug Merrone left Syracuse. Mark Whipple is mentioned as one of the replacements. We offered to Isiah Johnson in Syracuse's recruiting list. The Orange's verbals are heavy on JUCO's. They have two OL JUCO's who committed in December. The Minutemen could REALLY use some experienced FBS-level offensive linemen. The Boston Herald says Coach Kellogg has no problems with the MAC four game basketball schedule that came with the football conference package. ESPN says "multiple" sources say UMass and Tulsa are under consideration for the revised Big East. There would be pains and gains from UMass in the Big East, but it would reunite UMass-UConn and Temple. Those three schools would fare better if they worked together. Temple would realize this. UConn probably wouldn't. Arkansas State edged Kent State 17-13 in the Go Daddy.com bowl last night. 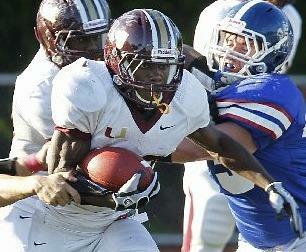 Tampa Bay Times reports UMass has offered to Derrick Ingram, a 6-1 185 pound WR from Jefferson HS in Tampa. Q & A with Ingram here. UMass is Ingram's first offer.